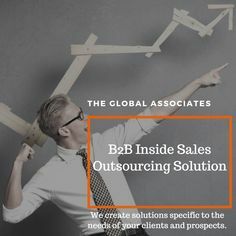 The sales executives of The Global Associates Telesales Companies need to master the art of conversation because ultimately sales is primarily about having conversations with people. Telesales companies must never undermine the importance of energetic, productive conversations despite the availability of many latest technologies and sales strategies in the modern era. Every business relationship begins to form invariably with a conversation between a sales person and a prospect; two parties genuinely interested in each other for a mutually beneficial relationship. Experienced sales people know that a successful sales conversation always has a special moment, a moment that changes the prospect’s perspective towards them. This moment guides them towards possessing clear understanding of prospect’s problems and tells the prospects about your capabilities and intentions. This turning point enables telesales companies to build credibility and encourages the prospect to spend more quality time with the company executive about their needs and issues. Following are some tips to create these moments and make your conversation more effective. It’s important for sales people not to act like an outright sales person, but like a problem solver, interested in helping them solve their issues. Your customer must believe that you have their best interest at heart and possess the capability to provide solutions to their problems. Empathize with them to elicit the right information you need to form a clear idea about their requirements and pain points, and prepare a set of effective, elaborate questions to achieve this objective. Having a good script is essential no doubt, but blindly sticking to it is never a good idea. One needs to be flexible and go with the flow. It’s essential to give your prospect a free rein, and alleviate their worries about your intent and effectiveness of your solution. Last but not the least, telesales companies must try to build credibility with the prospects by showing their capability and good intent in no uncertain terms. Start by supplying useful information and offering to research your prospect’s main issues even before offering to sell your product, this way you can win the customer over pretty soon.